A woman with her infant child, no doubt disturbed, fled police at high speeds, was eventually stopped by police, her baby removed from the vehicle and then she was open fired upon by several police officers. That is essentially the eyewitness account of Patty Bills, describing what she witnessed on CNN. There are several things disturbing about this story and the Corporate Media looks the other way. "That's where the gunfire began. Lot's of gunfire"
"That's when I saw them trying to pull someone from the car and realized when they actually pulled someone from the car, it was a child, and it takes you back a little at that moment and as soon as the child was pulled from the car is when the gunfire really let loose." Hold the presses. First the car was stopped. Then one of the "good guys", according to the witness removed the child from the car, out of harms way. Then, "as soon as the child was pulled from the car is when the gunfire really let loose". That is odd. "I heard the gunshots, I heard the policemen shooting." But then when the gunfire started, I stepped back from the window, but then out of curiosity you wanted to peer around just to see. And then it became very involved, lot of gunfire, a lot of police, a lot of security. "It's a very tough and frightening thing when you have that many [much] gunfire happening around you and bullets flying"
Again this is just odd. What did the driver do, sitting in that car, that made trained police officers respond to this woman, whom we later learn was UNARMED by removing her child from the car and then opening fire on her by multiple officers and apparently with a barrage of bullets? There is not another city in the entire nation that has more security cameras than Washington D.C., and this right in front of the nations Capitol, and we have not seen any video of the capture or shooting as of this date? Are we to really believe that no camera's captured the shooting, or is there other reasons that we are not being given the tape? There is rarely a tape anymore, Aaron Alexis of Navy Shipyard shooting notoriety an exception. Of course his rampage isn't without its own questions because of the "ELF" or "extremely low frequency" etched into his rifle. There wasn't security tape behind the theater where supposedly another "delusional" person open fired and killed 12 in July of 2012. There were not any security tapes of delusional Adam Lanza at Sandy Hook. There were no security tapes at Benghazi. The fact that the government was having of course, a "training exercise" on this very day is, well, odd. 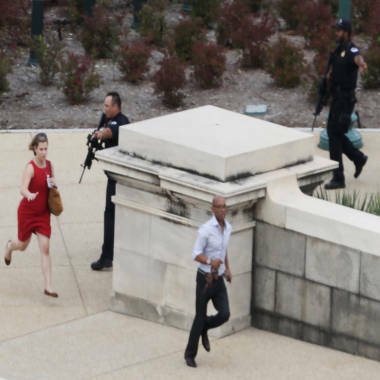 The U.S. Capitol was placed on lockdown following a car chase and shooting involving a woman who attempted to ram the White House gates. Establishing a possible M.O., Miriam Carey the deceased woman, has been labeled "delusional". According to ABC the "Authorities said she had a history of mental health issues". Her crime worthy of death?... 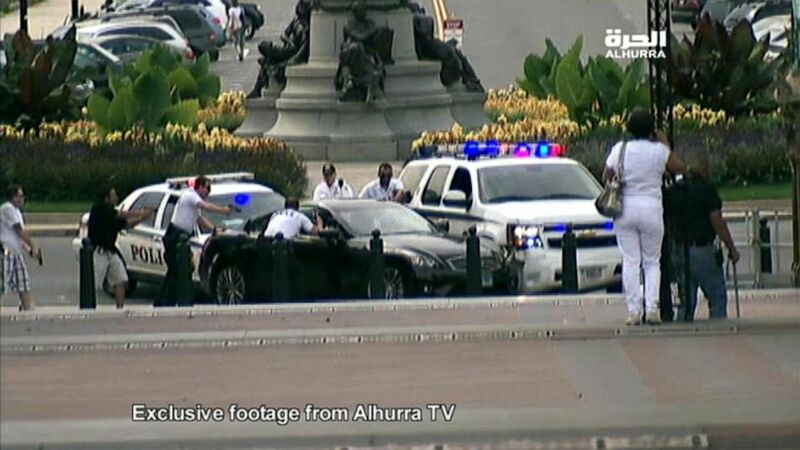 "allegedly attempting to ram the White House gates and leading authorities on a high-speed chase to the U.S. Capitol" ABC reported. By the way, no photos and no videos of her car ramming any gates at the White House. Again, this is odd simply because of the amount of tourists with cameras. In the video below, you can hear gunshots as she evades police the first time. "Officials" have told CBS that Carey was "delusional"
Meanwhile, Carey's family is not too happy that the 34 year old Dental Hygenist was shot and killed while unarmed. They are denying reports that she was "bipolar, schizophenic, delusional" and that she believed Obama was stalking her. "Further detail. 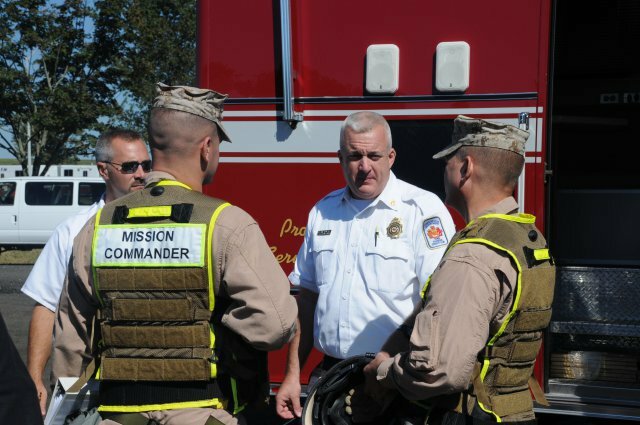 There was a training exercise going on in DC, the domestic homeland security army was running drills, drills that would simulate a domestic threat such as people storming the white house. They had barricades and random check points in the area, which i am sure was very congested and traffic laden. It appears she possibly was scared and did not want to stop at the check point, it could have been she had a traffic warrant she may have had a panic attack. She then flee's and they chase her, and the streets are no longer famil[i]ar as there are drill barricades all over. She hit's the white house gate and then try's to back out and get out of there. And then they fire 15 shots at her and kill her. Then they make story out to be that shots were fired at the capitol in a shootout with a deranged driver attempting to storm the white house and cause vehicular assassination. The media coverage and portr[a]yal of this is absolutely disgraceful." "Lame stream media will ALWAYS twist a story. Condolences to all who knew and loved her.
" I hope her family sues the Capitol Police Dept... Why couldn't they shoot the tires of the vehicle? Deadly force with a child in the car? I just can't understand this." "This is crazy, here's my issue with this, no matter what they said she did, as she went on that high speed chase from the cops, she crashed her car at a stand still. How could the officer walk up to the car and shoot her?, the car wasn't moving at that time, she wasn't going anywhere, neither was she attempting to draw a gun or anything. I have a serious problem with this. The Truth will come out. Pissed off." "I live here in DC and we have high speed chases all the time and they never use such force to stop people, Something went wrong and they not telling the whole story and that lady and baby didn't deserve to have them guns in their face like they did or to be shot at ,they could've stopped her any other way, Or just chase her like they do...Don't think they had to kill her these police here is the worse"
"This is a tragedy. I can't help but think it didn't need to end this way. Prayers for her family and baby daughter"
"Another sad sad day in America!!"